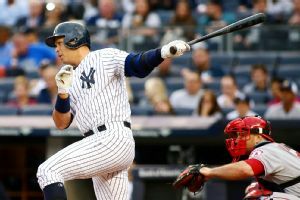 The New York Yankees will rest designated hitter Alex Rodriguez Sunday after he hit three homers Saturday against the Minnesota Twins. 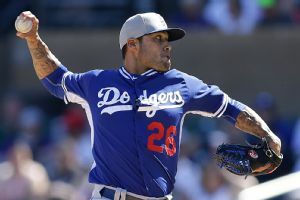 Jacob Lindgren and Esmil Rogers are out; Sergio Santos and Jose Ramirez are in. 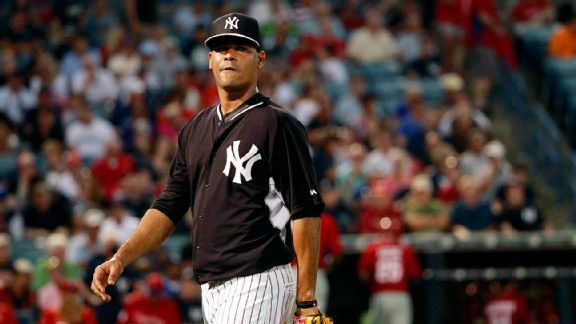 The Yankees outrighted long reliever Esmil Rogers with the hope that he'll accept an assignment to Triple-A Scranton. 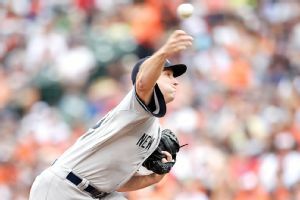 Friday's 11-3 loss to the Baltimore Orioles may not be the New York Yankees' worst of the season, but it certainly was among the most embarrassing. The speedy Williams will be the fourth outfielder as the Yankees look for a spark with Jacoby Ellsbury still out. Andrew Miller's worth to the New York Yankees will be seen over the next month, as the closer is headed to the disabled list. 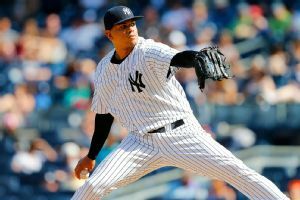 After cruising for much of Friday night's game, the Yankees nearly blew a seven-run lead in the ninth inning against the Los Angeles Angels. 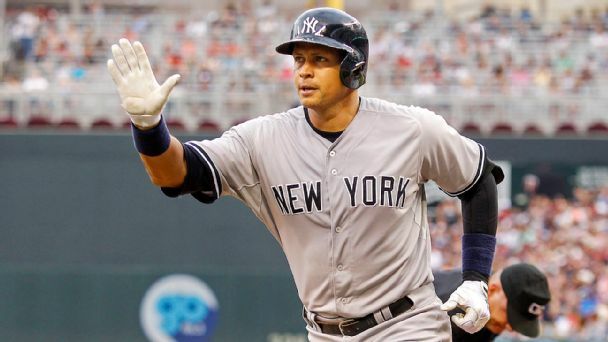 The Yankees' Alex Rodriguez had four hits and moved into second place on baseball's all-time RBI list.